Not in the Ashburn area? If a disaster strikes your property, time is of the essence. 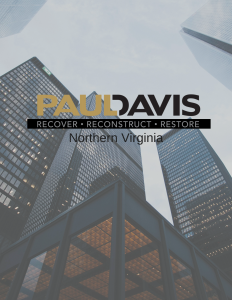 Paul Davis Restoration of Northern Virginia is proud to offer a free restoration contingency solution for facility directors, risk managers, and property managers with our First Priority program. 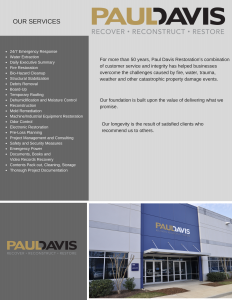 Our team has the necessary experience to understand how to effectively restore and assess structures damaged by water, fire, wind, and natural disasters in Ashburn. We promise a rapid return of your property to a pre-loss condition or better; thus resuming the efficiency and profitability of your properties with the least amount of disruption possible. Don’t wait until it is too late; prepare your business for a disaster before it strikes with the First Priority Program. To facilitate disaster recovery, prevent future damage, and minimize loss of revenue, we will proactively create a customized plan. Through this game plan, we can ensure that your organization gets back on its feet as fast as possible with minimal interruption in your operations.